We believe that must have had a great time learning German language but have you appeared for the Goethe Institute exam yet? 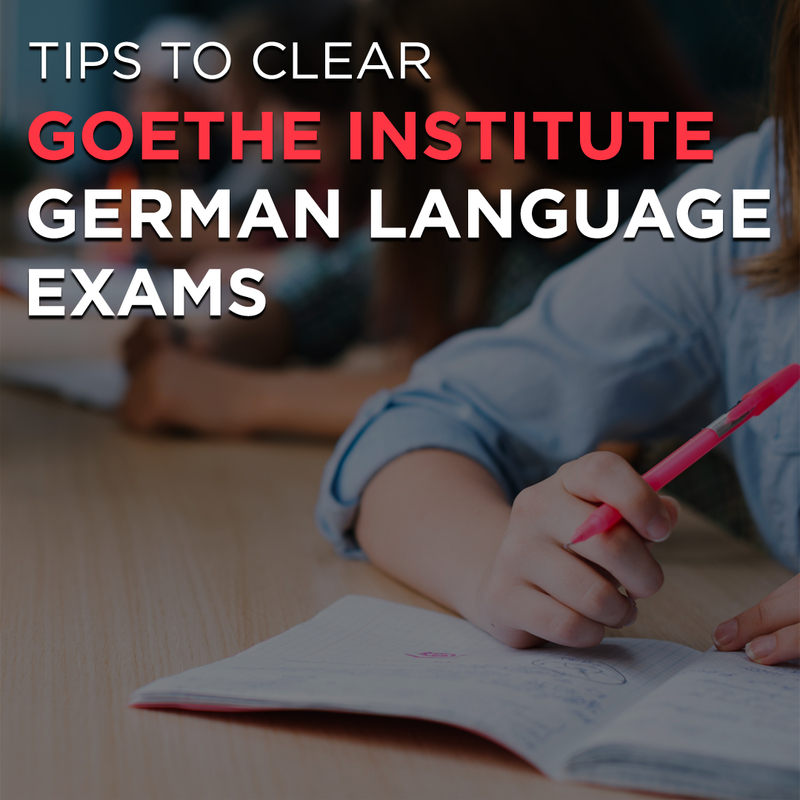 In order get certified of your German language skills, you need to appear for the Goethe institute exams. It is a non-profit German cultural association promoting German language & only their passing certificates are the proof of your knowledge of German language which is accepted worldwide & also for applying for your studies in Germany. Exams are always displeasing no matter what the subject is. However, when we talk of German language exams, it’s not like a pain in the neck only if we opt to choose with the right set of advices. The logic with German language exam preparations is simple- if you love to learn it, you’ll definitely do well in your exams. So, just give it your best shot and that’s all you really need. Here are some really helpful tips on the same. Preparing for the exam requires correct guidance, detailed study module & your hard work & dedication. You will more confident & prepared if you have covered all the topics & practiced them regularly. It is always recommendable to take help from a professional or a German language expert. The institute you choose to study in, matters a lot when it comes to learning a foreign language like German. It’s always better to look for institutes with a good record of successful candidates and with a quality experience. Vocabulary and grammar form the basis of a language. Update yourself thoroughly with vocabulary of respective German language levels Also; understand the grammar part completely as you will feel more confident. This will also help you form as many sentences as you want in German and translate whatever you see or hear in your exam. Stay in constant touch with the language. Keep enhancing your language skills by practicing it daily in the form of a casual discussion with your friends or colleagues so that it becomes like a part of your daily life. You can form an online group wherein you can exchange messages in German language, chat casually or share useful and relevant German language material. This improves your writing and reading skills. Learning the language & preparing for the exam should not be limited to the classroom only. It’s vital that you take initiative to learn more and more even after your class ends. It requires your extra efforts and interest. You must go beyond the usual schedule to search for better ways to grasp more command over the languagefor example through songs, TV series, movies, and various other audios or videos which would be interesting and informative too. This way your hearing and speaking abilities in the language would improve. Practice materials are available on Goethe website for hearing, speaking, writing and reading sections for all levels. You may attempt all those sections within the stipulated time and then judge your own performance before taking the final exam so that you are aware of your weaknesses and strengths beforehand. Apart from solving the Goethe practice paper, you can also find more such materials on the internet from reputed sites. The most important thing to keep in mind before appearing for any exam is the feel confident. You already have done the hard work & you are now fully prepared to handle whatever is asked in the exam. Give your best shot in the exam. We wish all the aspiring students all the best for their German language exams. For information regarding learning German language online, call us at 01147940068.